Now that Cuba and the United States are friends, the dissolved embargo may soon allow for the sale of the highly sought-after Cuban cigar. But until then, if you are in search of a whole tobacco leaf filled with fermented tobacco, cigars can be purchased at McMenamins Old Saint Francis School's O'Kanes bar. The tiny bar has a knowledgeable staff that can help you pair cigars with scotch—whether you're looking for a smoky scotch or island-y flavor. They can also be smoked at the bar. 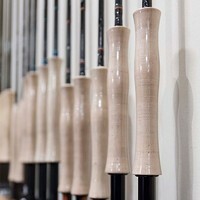 Cigars come wrapped and make shopping for the occasional cigar smoker a cinch. 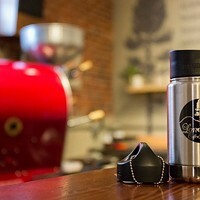 O'Kanes, McMenamins Old Saint Francis School, 700 NW Bond St.
An old classic never dies—that's why a newly crafted flask can make a great classic gift. Be Oregon—an outdoor company—began making Oregon lifestyle-inspired T-shirts and expanded from there. 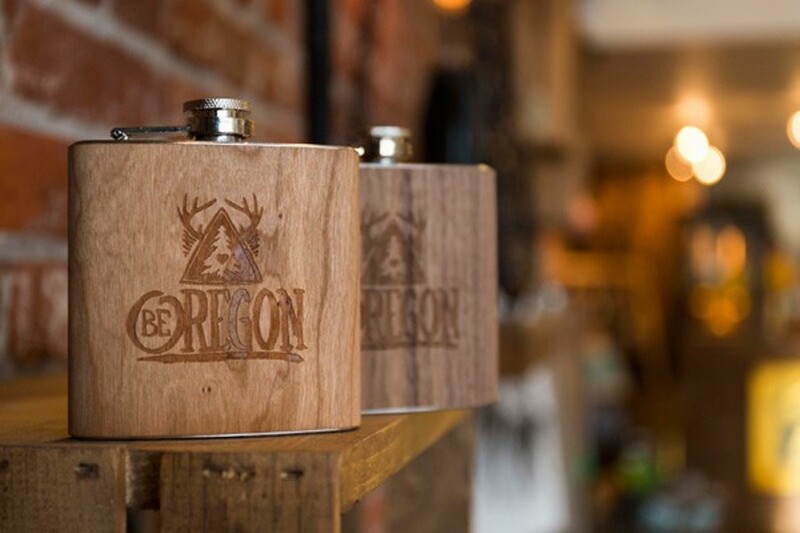 Be Oregon's flask is made from walnut or cherry wood and its antler logo is hand carved on the front. Perfect for a quick vacation if you're not up for venturing out of the house or in case of the next snowstorm, this wooden flask keeps your favorite beverage of choice in close proximity. True to classic form, this flask is only available in store. Be Oregon, 126 Minnesota Ave.
Time can be on your side—literally—by giving the gift of a classic pocket watch. What better place to purchase a timekeeper than at a local antiques store. Depending on the number of jewels, the model, and the year it was crafted, this antique selection of pocket watches come in gold and silver. If you're more adventurous and looking to save a few dollars, pocket watches that need a little work are available as well. Ditch technology and get this oldie but goodie for someone who always needs the time. Trivia antiques only sells its classic finds in store. As uncommon as it may be in Oregon, a good close shave is something that should be done with care. So if you're looking for a gift for the regular shaver, make a small investment to ensure that friend or special someone is getting a smooth, clean shave. Made from natural ingredients like olive oil, shea butter, fuller's clay, palm oil, and coconut oil, shave soap also comes in sandal wood, basil mint, timber, and green tea scents. 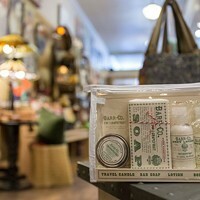 Packed in a 4-ounce tin, this handy soap is stored easily and can be taken wherever you need to go. What suit would be complete without a bowtie, suspenders, or a pocket square? These accessories can add a seamless classic touch without breaking the bank. Spruce up that boring, empty pocket with a shiny square or impress the business crowd with a pair of linen suspenders. Bowties come in a variety of timeless patterns and colors like navy and polka dots. Revolvr specializes in men's clothing and their bowties are made stateside. For the "Mad Men" fan, you can't go wrong with a dash of vintage accessory flair.